A quality, chunky A5 notebook made by the good folk at Notebook Love. 192 ruled pages. 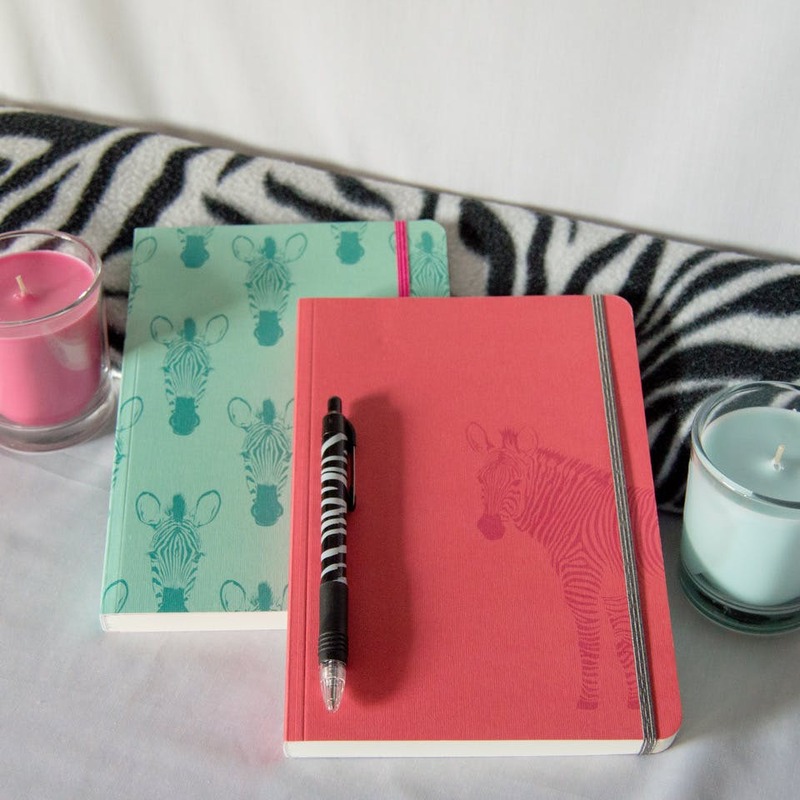 Featuring a funky aqua zebra heads design, ruled cream pages (Forest Stewardship Council approved) and popping pink elasticated closure, it is perfect for writers, journalling, to-dos or the thoughtful gift. A vibrant notebook that makes me smile. Love the contrasting front cover. Has become a meeting talking point! 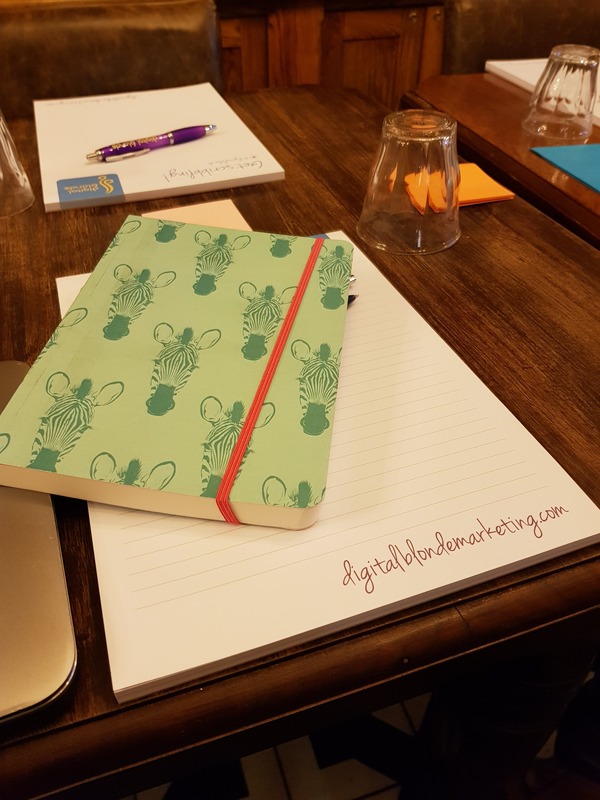 Nice to see our notebooks turning up in conference rooms! Thanks for the lovely review Charlotte! I bought five notebooks with every intention of keeping only one and gifting the other four to friends of mine. When they arrived, I was so impressed by them that I ended up keeping all of them and buying a new set for my friends. As a writer, I'm always on the look out for new notebooks. Notebook Love's products are great quality, have lovely designs and are reasonably priced. My hunt for a brilliant notebook supplier may actually be over! WooHoo! Thanks so much and all power to your writing elbow! I purchased this notebook in an offer posted on the Facebook page, in fact I jumped at the chance because I have posted their hearts notebook before and the quality is outstanding! Lovely thick paper, an elastic closure, it’s eye catching and best of all no sharp corners so they won’t look tatty after a few weeks of being in my work bag. Will definitely buy again! Thanks Catherine! So pleased you’re so pleased! Thanks for sharing everything love! I love this notebook, its such a pretty colour and the pages aren't thin and flimsy like some I've purchased in the past. Thanks for such great feedback, Sadie! Really pleased you like it!